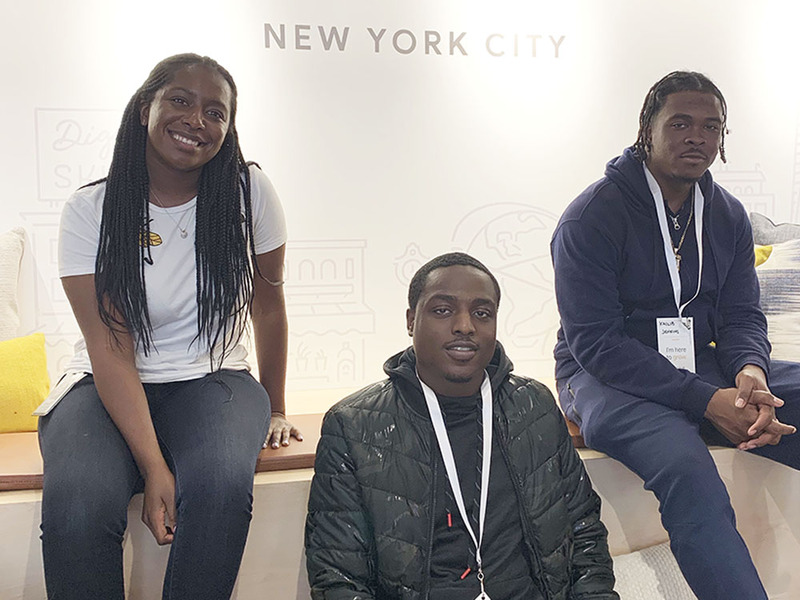 Grow with Google offers free digital skills training to all New Yorkers, including management coaching, résumé design, and presentation-building. 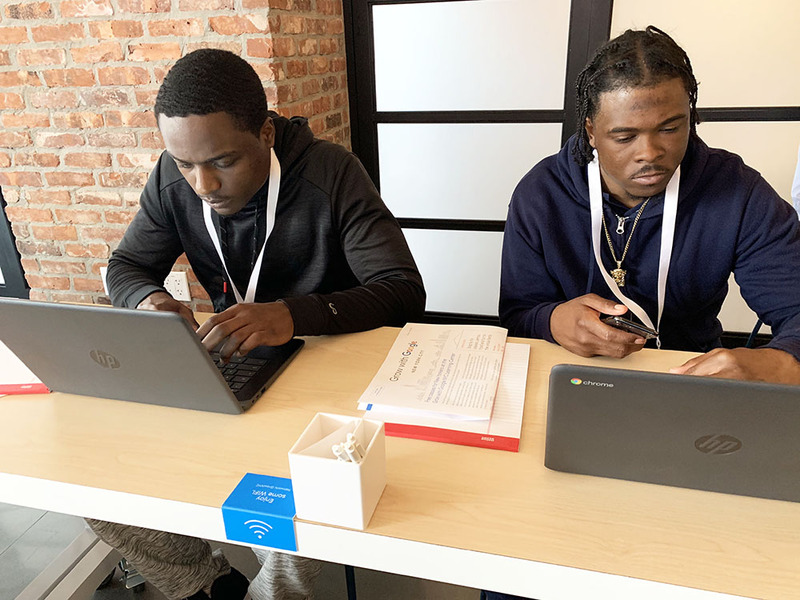 GOSO participants, Kailib and Jonathan, engaged in two workshops: the first taught attendees how to best utilize Google Search and G Suite tools to search for employment opportunities, and the second offered hands-on help with digital skills such as setting up a website or updating a business profile. 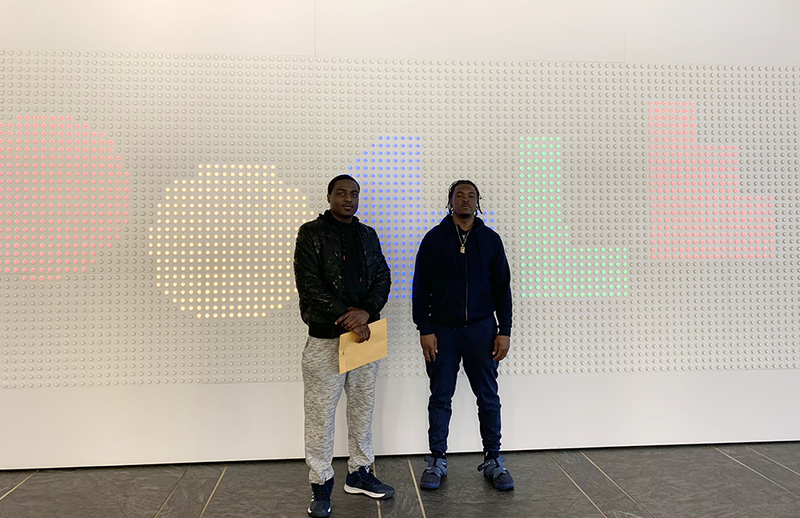 Kailib and Jonathan enjoyed learning different approaches to concepts with which they were already familiar. Building online professional skills is crucial for our participants to take full advantage of a rapidly technologizing world. 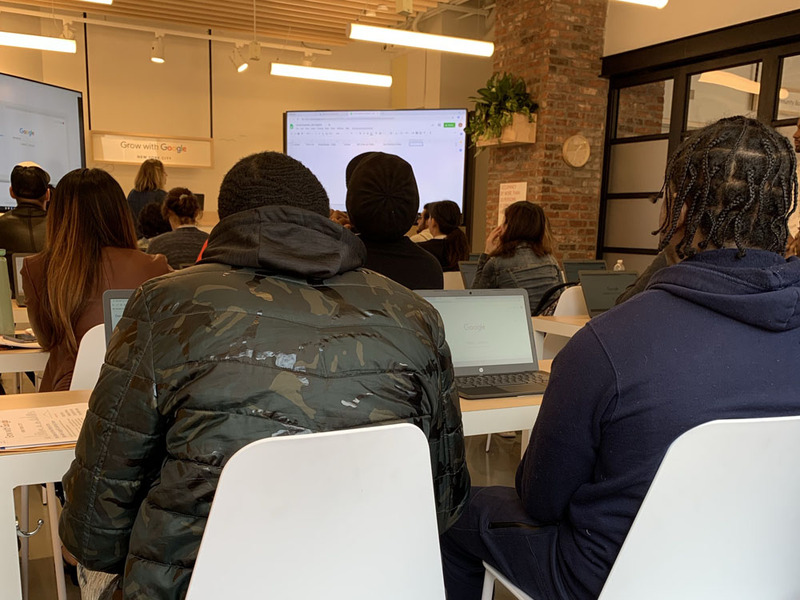 In the future, GOSO plans to bring more participants to the Grow with Google NYC Learning Center to take part in the broad variety of available classes.